There are 7 Memory Care Facilities in the Decatur area, with 2 in Decatur and 5 nearby. The average cost of memory care in Decatur is $5,225 per month. This is higher than the national median of $4,650. Cheaper nearby regions include Athens with an average starting cost of $4,190. To help you with your search, browse the 3 reviews below for memory care facilities in Decatur. Better rated regions include Athens with an average rating of 4.3 out of 5 stars. More than 15 percent of Decatur, Alabama's population is 65 years of age or older and, in a state where 92,000 seniors have been diagnosed with some form of dementia, it's incredibly important that seniors have access to memory care facilities in the city. There are two facilities in Decatur that provide this level of care to seniors and an additional six facilities nearby in cities such as Madison and Huntsville. 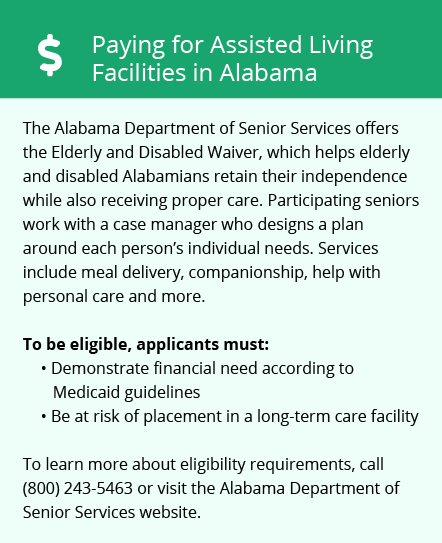 The Alabama Department of Public Health closely regulates these facilities, which are officially known as specialty care assisted living facilities. There are strict provisions in place for these facilities, including the requirement for a secure perimeter and electronic locks to protect residents who have a tendency to wander. Property crime rates are high in Decatur. The city has 47.21 property crimes per 1,000 residents on average each year. This includes burglary and theft. By comparison, the state average is much lower at only 29.48 annual property crimes per 1,000 residents. It's important that seniors and their families discuss safety and security procedures when touring memory care facilities. Decatur's air quality is reasonably good and poses little risk to seniors and those with underlying medical issues. The American Lung Association has assigned the air in Decatur and throughout Morgan County a passing grade. However, it's worth mentioning that the county does experience some level of ozone pollution, which may be worse on some days than on others. At 59 inches of annual rainfall, Decatur sees 24 inches more rain than the average U.S. city. This may limit the amount of time that seniors can spend outdoors throughout the year. If seniors and their families have a limited budget for memory care, Decatur might be an ideal location. The overall cost of living in the city is 17 percent lower than the national average. However, seniors that require frequent medical care may find the cost of healthcare expensive in Decatur, as it's 4 percent above the national average. Memory Care costs in Decatur start around $5,225 per month on average, while the nationwide average cost of memory care is $4,799 per month. To see a list of free memory care resources in Decatur, please visit our Assisted Living in Alabama page. 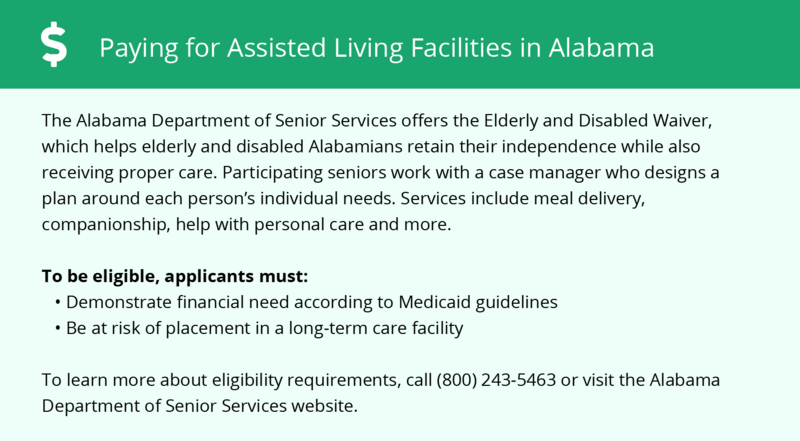 Decatur-area assisted living communities must adhere to the comprehensive set of state laws and regulations that all assisted living communities in Alabama are required to follow. Visit our Memory Care in Alabama page for more information about these laws.